The Lingua File from TLF Translation: Copyright or Copywrong? Protecting Authors or Halting Progress? Copyright or Copywrong? Protecting Authors or Halting Progress? Is copyright law protecting authors, writers and creators or just merely hindering human creativity? Copyright is supposed to protect those who create something from a loss of revenue by stopping people from copying their stuff. Charles Dickens was hugely supportive of his works being protected since many people in the US were circulating copies of his works and he wasn't getting paid a penny for it. 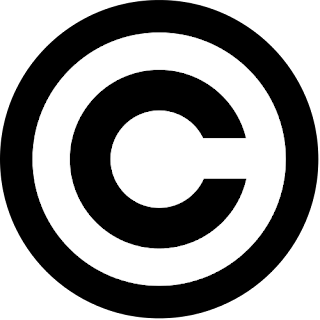 Ironically the icon for copyright is not subject to copyright. Before the invention of the printing press, creating works was such a time-intensive and costly procedure that duplicating works was rarely an issue. Initially, people weren't even certain whether ideas could be owned. Eventually it was decided that they could, and thus copyright was born. This began in the UK with the Licensing of the Press Act 1662 which protected the copying of materials such as books (referred to in the act as bookes) and other printed materials. The works were only protected for a meagre two years at the time. In 1710 the Statute of Anne, the first real semblance to a copyright law in the world, extended this protection of works to a total of 14 years. There are two sides to this argument. Copyright protects authors and their work. The downside to work being protected is that it inhibits other creative people from adapting their own versions of the work. If creative works were protected ad infinitum many classic Disney films would have never been made. It certainly wasn't Walt who came up with the ideas for Cinderella, Pinocchio, Beauty and the Beast or even Sleeping Beauty, to name a few. The Disney corporation made most of its classics using ideas that had entered the public domain and were open to interpretation by anyone. Once Disney made their films, they then proceeded to copyright their versions of these "classic" stories and fairy tales. Disney was certainly one of the biggest supporters of increasing the length of time that works were subject to copyright and with good reason. Walt died years ago, but the corporation still owns the rights to the works.